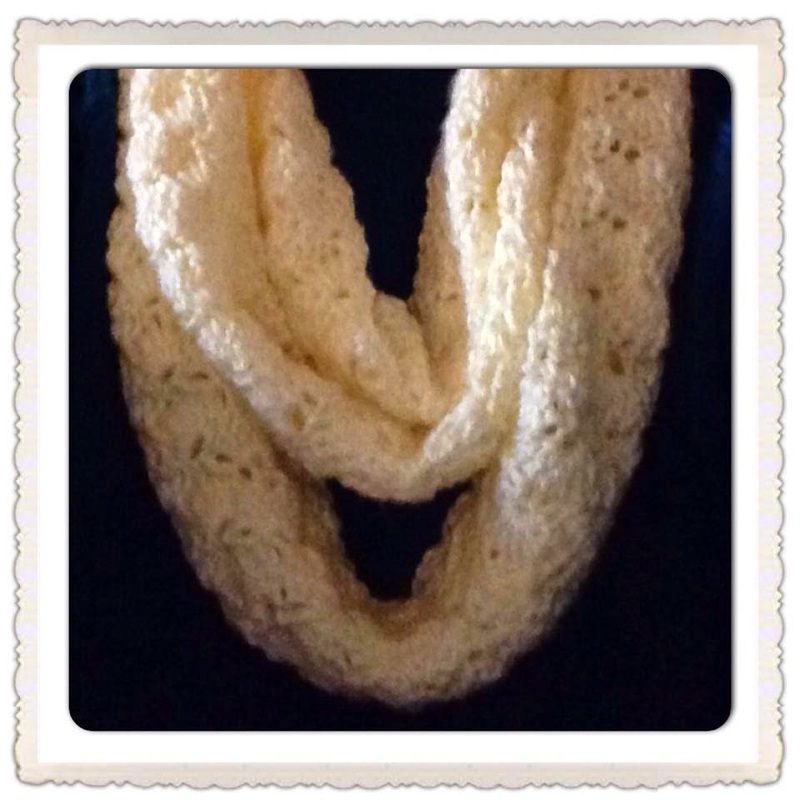 Here is the Infinity scarf I made for my Crochet swap partner! I was late on sending this project out. I was half way done and ran out of the yarn I was using. For weeks I would check the stores and see if it come in yet. I finally had to resort to picking a new color and starting from scratch. I think it turned out beautifully! 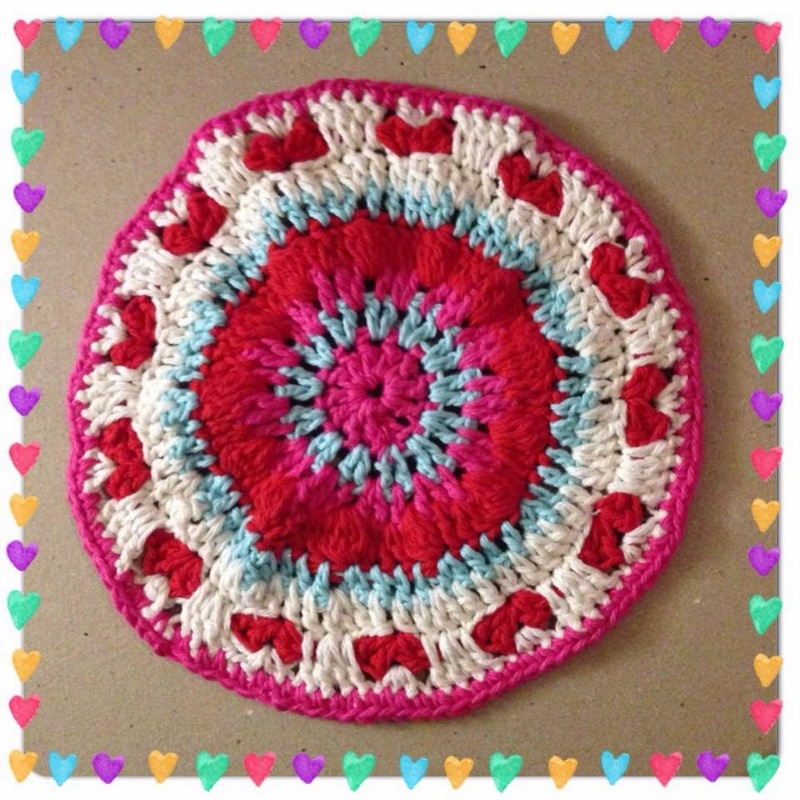 Received my February dish cloth from my crochet swap partner! It is LOVE-ly.. get it the theme for the challenge is "LOVE" It is so pretty and I cannot wait to give my dishes some lovin' with this beautifully done dishcloth! Here it is, the dishcloth I made for my Crochet swap partner in the February Dishcloth swap. I fell in love with this pattern and what do you know? 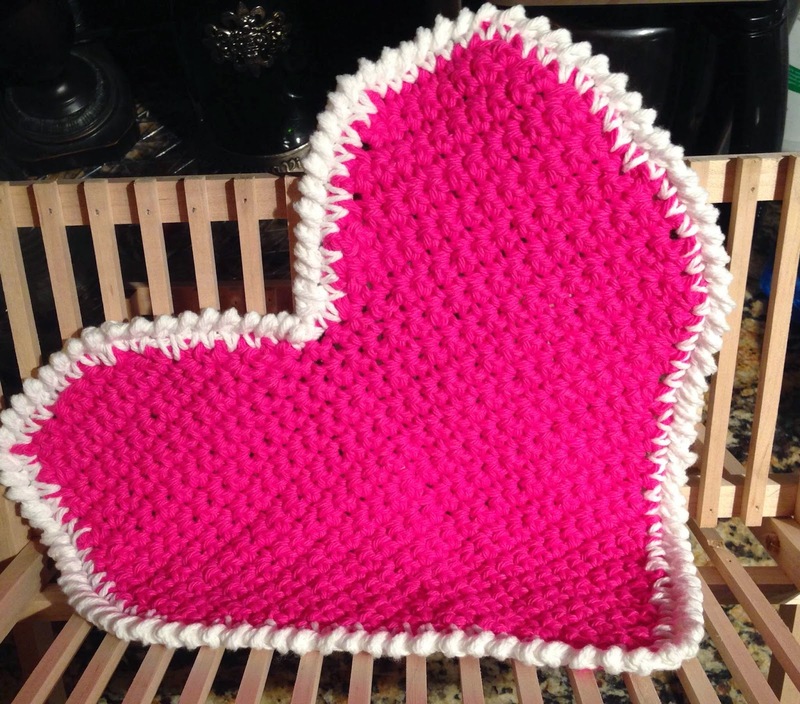 The theme for this challenge is "Love" I used cotton yarn for this project and the pattern is a free pattern. I will post a link here for anyone wanting try this one out! 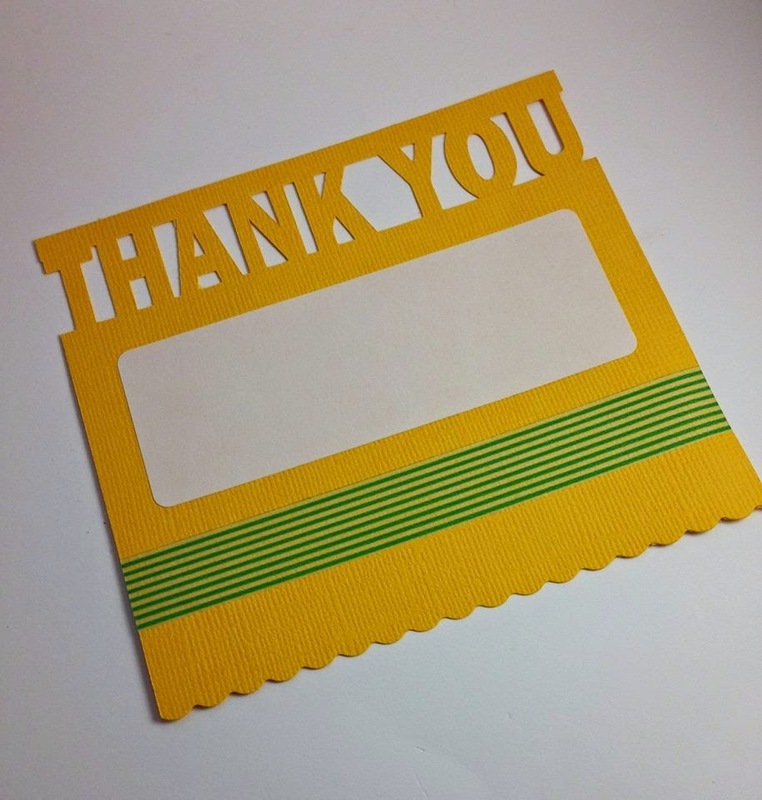 Using the Silhouette Cameo I made two of these simple and to the point Thank you cards. 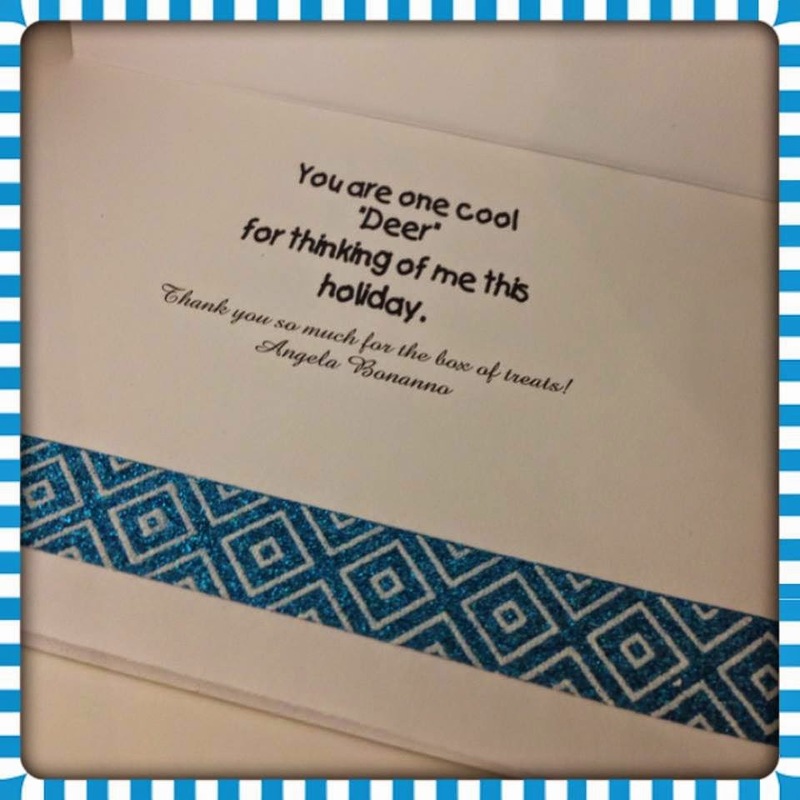 A little washi tape and a blank address label and it is ready to for the recipient! 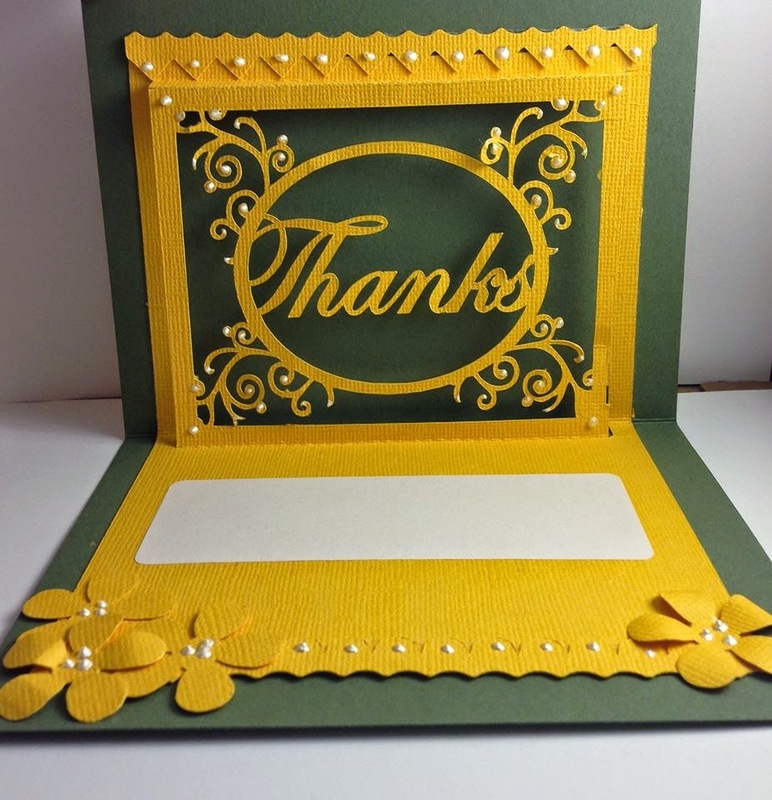 For this card I used my Silhouette Cameo machine using one of their freebie card files embellished inside with some punched out flowers, an address label to write your John Hancock, some scrap strips of cardstock and some Liquid pearls. I love liquid pearls! 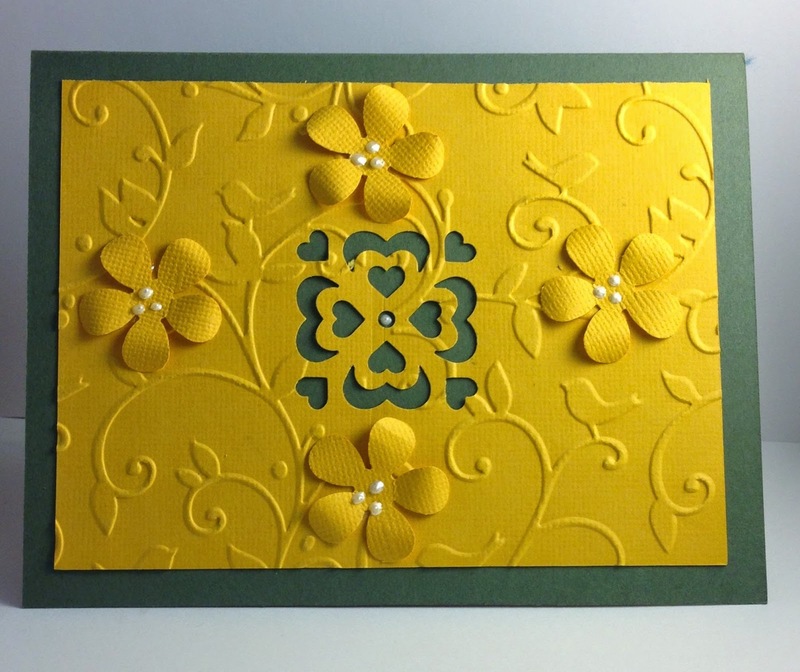 On the front of the card I used a Cuttlebug embossing folder, and a punch for the center cut out, plus the same flower punch and glossy accents. I decided to redo the request for a simpler card. 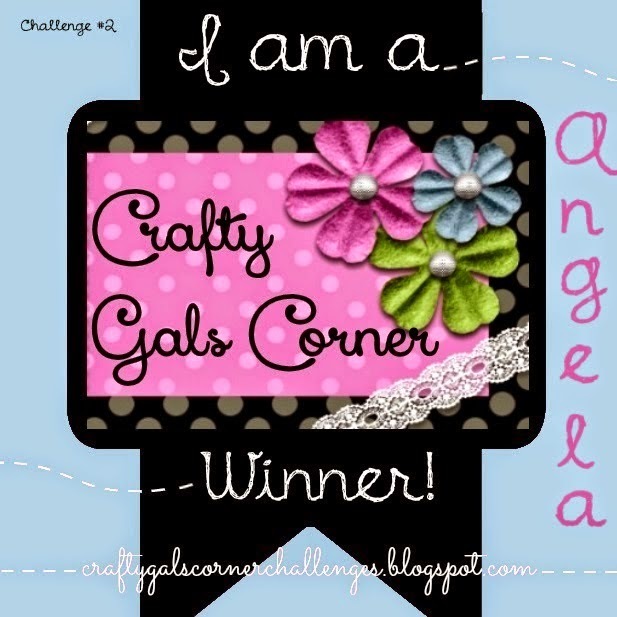 See my next posting! 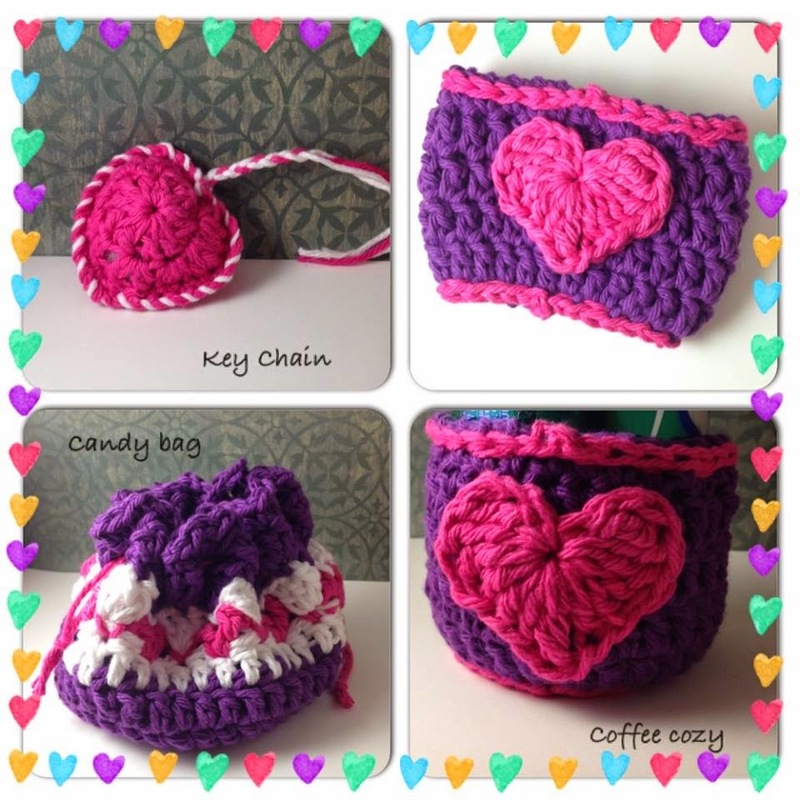 Here it is my Valentines gift package for my Crochet swap partner! I was thinking on the go, a key chain, something for her to go coffee in the morning and maybe a little treat bag to fill for a snack throughout the day. I hope she likes it! My latest creation using a Bestie Image. It is what I am calling the Magic Box. I plan to fill with valentine goodies! 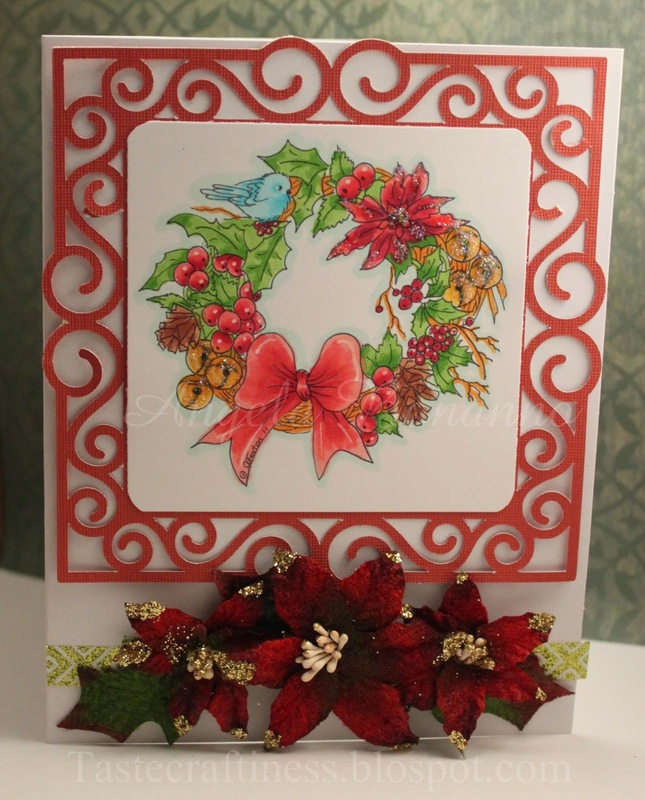 Here is another card I created this week with one of Anne Fenton's digi images I have on file. 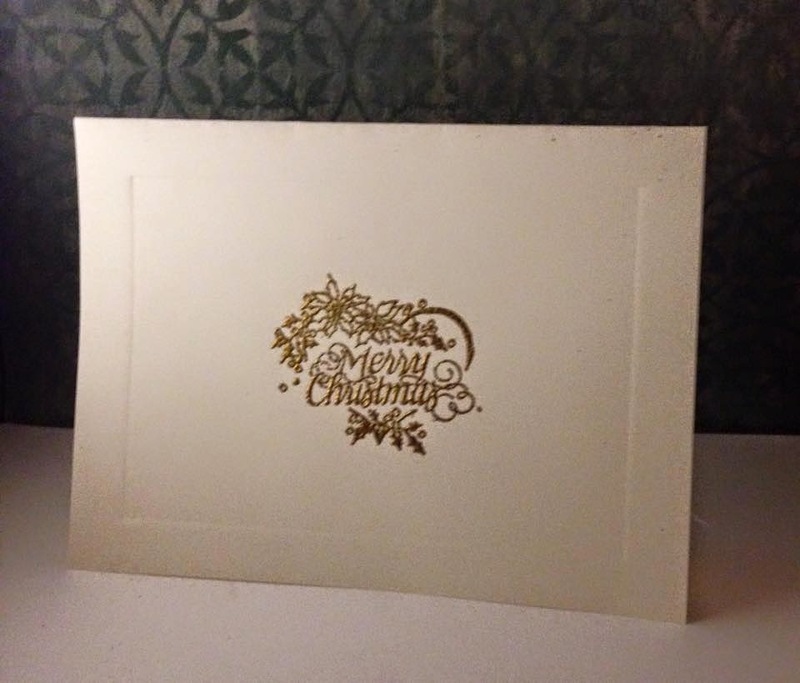 This card also has a cut scrolling from my Cricut machine, some glittery gold washi tape, Star Dust Stickles, and the final touch of some poinsetta flowers. This past week I have been practicing with my copic markers, I figured I have to do something to keep busy since I am out of yarn for my Infinity scarf which is a swap that was due to be mailed yesterday! Eeek! Today I am back on track I am starting over on the scarf, gave up my search for the yarn I needed and just bought two skeins of another. 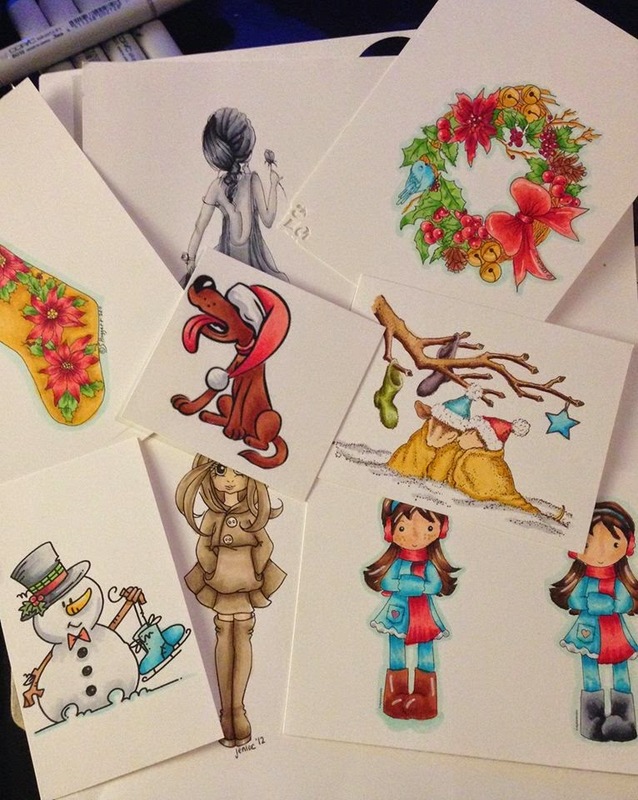 The past weeks practicing with my copics, has been fun, all while watching movies with my family. 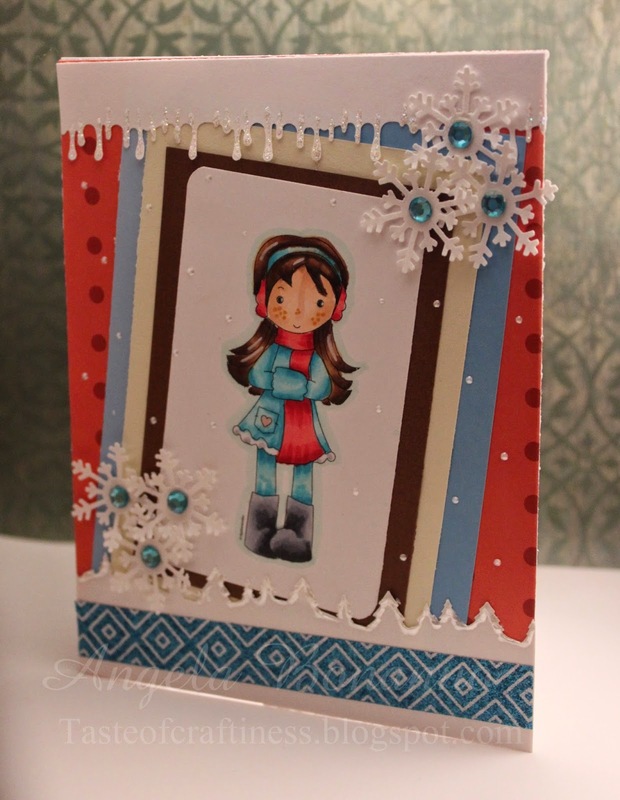 Finished this card last night using a Digistamps4Joy image, with a punch for trees, icicles, and the snowflakes, some sparkly glittery washi tape, liquid pearls for my snow dots, and some sticky backed blue gems. for thinking of me this holiday! 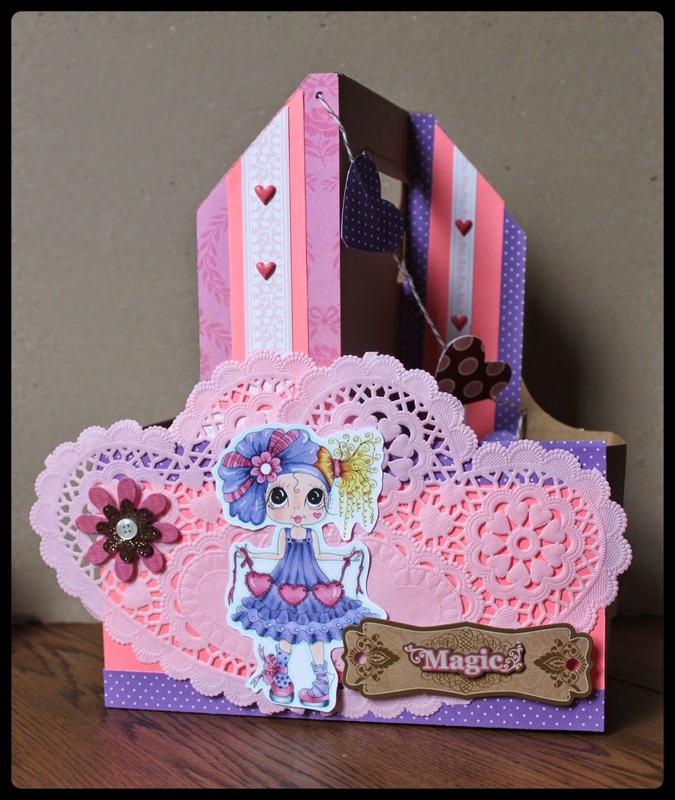 I was inspired to make this card from the latest challenge at Digistamps4Joy. It is one I could not resist "Glitter"! My card stock is glittery, I used glittery washi tape, glitter snowflakes and I added some Icicle stickles around the front sentiment. ABC Challenge "A is for Anything Goes"
Card Mania "Make it Sparkle"
Connie Can Crop "All that Sparkles"
Dana Cambray Pirollo, you are so very thoughtful to have thought of me this holiday! What a delightful surprise! 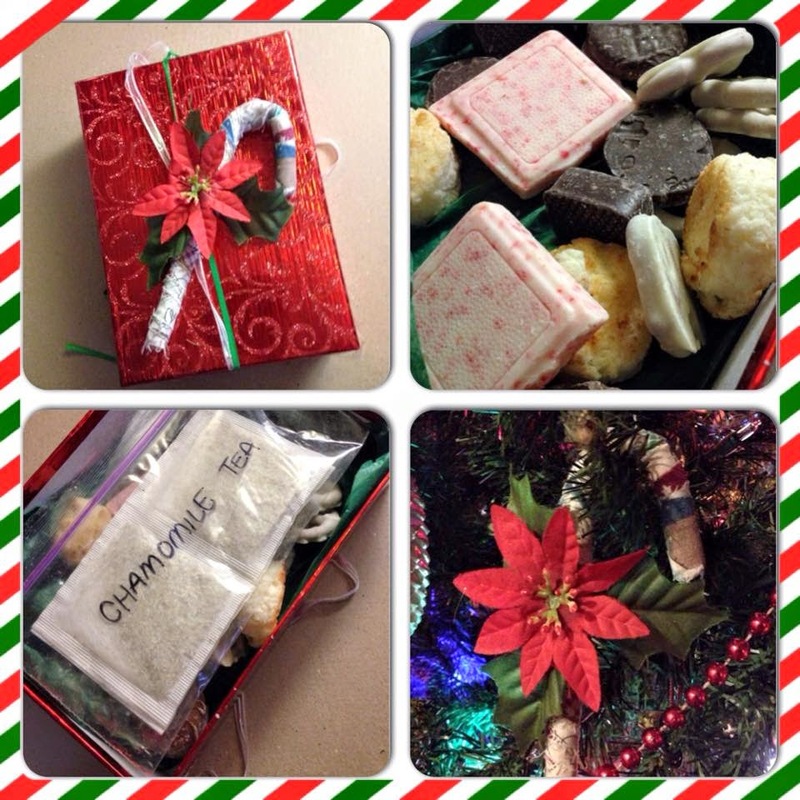 Thank you so much for the sweet card chamomile tea which is one of my favorites and the tasty treats! It truly made my day!